From creating a vibrant network for our younger members of staff that encourages development and creates strong working relationships. To pro bono work, enabling the skills of our specialist engineers to be shared making a real difference to communities around the world. We believe that it’s good for our people, and society, to go beyond our everyday roles and beyond engineering. The Young Engineers Forum (YEF) connects younger members of BuroHappold staff through their shared interests, and provides a nurturing environment in which they can strengthen working relationships and cultivate friendships. The YEF is an inclusive community that is open to everyone in our practice, not just engineers, and over the past year we have been pleased to see a real increase in participation. The Edinburgh YEF has had a 25% increase in numbers, and the Copenhagen office has recently formed a YEF, making thirteen in total. Inter-office communication is a key theme across our YEFs for 2017. In America, the West Coast YEF are planning their annual conference for staff from our Los Angeles and San Francisco offices. 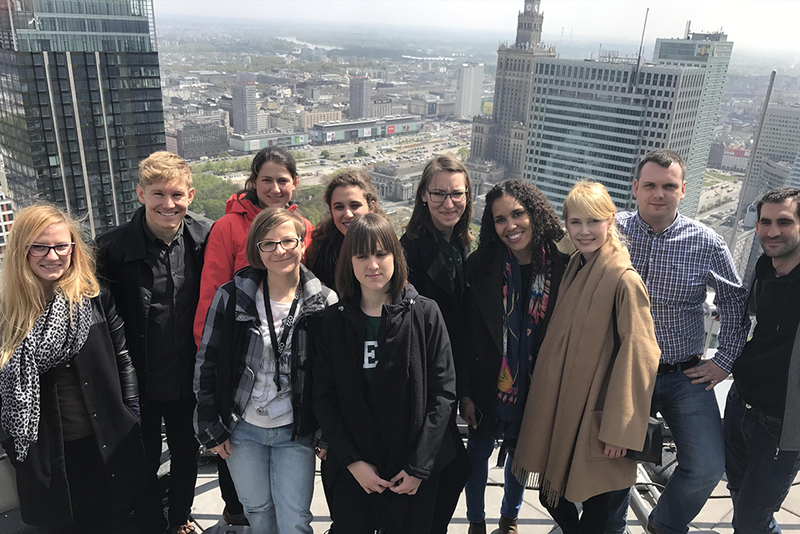 The Berlin YEF travelled to the Warsaw office to share project presentations and scale the 195m Q22 tower, with the aim of getting to know each other and improve future collaboration. YEFs from across our UK offices also came together to present their future vision of the company to the GX in London. As well as promoting a sense of community within our practice, YEFs across the globe have undertaken a huge amount of outreach work to inspire the next generation of budding engineers. The Boston office continued with Kids Build, an interactive learning experience where families come together to design and build projects with the help of design professionals. Over in Riyadh, the YEF welcomed students from the British International School to spend two days researching innovative engineering systems, while the Warsaw YEF were involved in a charity collection for the ‘Ale Jestem’ foundation in the run up to Christmas 2016. The UK YEFs continue to promote STEM careers through a number of outreach initiatives including CReATE in Bath, the SOS supported Project Shelter that kicked off in London and is set to expand globally, and the Go4Set Technology competition with school students in Edinburgh. Elsewhere, the Manchester and Leeds YEF came together to provide Industrial Mentors to Sheffield University second year students, while Work Experience Week across the UK offices continues to grow year on year. All these activities have only been made possible through the hard work and emotional investment of countless individuals. Over the year ahead, the BuroaHappold YEFs will continue to provide a platform for our engineers to foster friendships, share ideas and celebrate achievements as one global community. This year, BuroHappold joined the national ACE mentoring programme for high school students interested in careers in the design and construction industries. Every fortnight, ACE’s student teams in New York and LA visited our offices to learn about the design process, before tackling a project of their own. In New York, one team designed a mixed use, high rise development in Hudson Yards on Manhattan’s west side, while the other proposed transforming an abandoned City Hall subway station into a history museum. In LA, students from across the city worked together to create their vision of the Inglewood Development project centred on the new LA Rams NFL Stadium. Two of the LA participants received scholarships from ACE, and BuroHappold’s non-profit arm – The Happold Foundation – provided a $2,000 scholarship to an ACE graduate toward studying engineering at the University of California, Berkeley. We partnered with Bridges to Prosperity (B2P) and structural and civil engineering consultancy Price&Myers to construct a pedestrian bridge in Gasiza, in the Northern Provence of Rwanda. BuroHappold and Price&Myers jointly funded the work on the bridge, alongside fundraising by the engineers and sponsorship from the Happold Foundation. The 57 metre bridge spans the river Cyacika and connects Muhondo and Rwinkuba, providing a safe link between rural communities. Our team needed to work in close collaboration with local engineers and contactors to construct the bridge, with a significant proportion of the work carried out by hand. BuroHappold is working with the Memusi Foundation to help supply quality education to Kenyan communities in need. 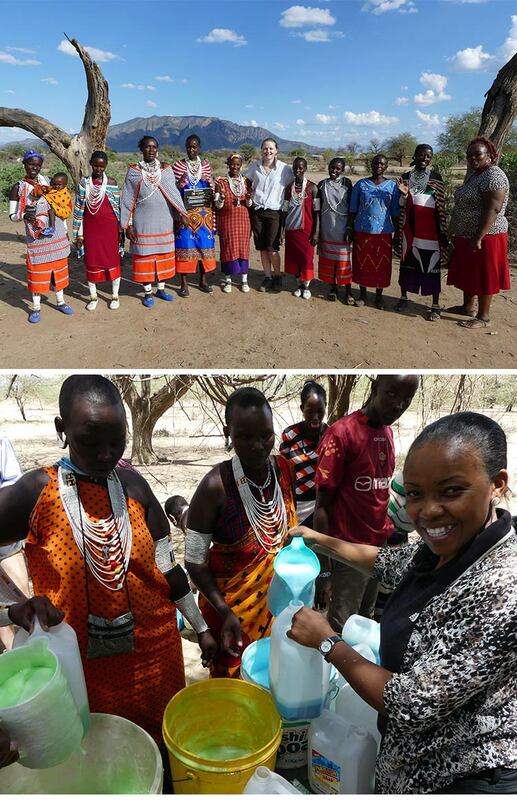 This initiative focused on enabling more children to access education in the village of Pakase, home to a community of nearly 3000 Masai, by improving their water supply. At the moment, women and children walk 3km to collect water from a broken pipe that connects to a spring. Although the Memusi Foundation has established a school in the village, the lack of access to water is affecting the school and the performance of its students. BuroHappold employees Conor Hubert and Brittany Harris travelled to Pakase to inspect the existing water pipe, and found the greatest challenge facing the community is conflict with elephants that damage the pipeline. The potential fallibility of the existing source is also a key concern. As a result of this work, BuroHappold is now developing options to rectify these threats and improve access to the water supply for the Pakase community. Conor Hubert with Brittany Harris, NCE’s Graduate of the Year 2016, in Kenya. Annually we celebrate great people and teams across our global community with the Essence of BuroHappold awards. Championed by our Senior Partner Paul Rogers, the awards recognise best practice around the regions and the people who are truly embracing our Essence. voted on by the whole practice. The winners of the awards were then announced at our June Partners’ conference in London. Embracing the difficult and striving for progress, the collective actively seek difficult projects to apply their skills to. The virtual team seek to explore visual programming and coding in order to revolutionise the delivery of our projects and multiply the value to our clients. Pushing the boundaries of what, as engineers, we can achieve they were seen as “an inspiration to the whole of BuroHappold”. Kyle represents the essential and valued work that the core business services teams do to support the whole practice. solver, Kyle has proved himself as invaluable and was our overwhelmingly popular winner. A special character without whom BuroHappold would be a poorer place. For 21 years, the Happold Foundation has been a source of information, encouragement and funding for those who are excited about engineering. Working with students, educators, researchers and other industry professionals, the charity is dedicated to using engineering to improve the built environment and make a positive impact on people’s lives. We work with schools to design exciting, hands on education programmes for 6-11 year olds that will inspire the next generation. This year, for example, we are entering our second year of the Whitehall Primary Education Project in London, where we have been engaging Year 5 pupils with exciting engineering concepts. The Happold Foundation helps students who want to pursue a career in engineering to access scholarships and work experience opportunities. Awards this year include ACE Mentor Scholarship in North America, which saw Tania Espeiel presented with $2,000 toward pursuing her career in engineering. The annual Happold Foundation Lecture is one of the ways in which we bring together the most talented people in our industry to discuss some of the world’s most challenging issues. Harriet Tregoning, Obama’s chief resilience officer and former Principal Deputy Assistant Secretary for the Office of Community Planning and Development delivered this year’s lecture – Rebuilding or Relocating: How to Respond to Climate Change. Our work in this area helps engineers and organisations access the training and funds they need to get involved with humanitarian projects across the globe.Two of this year’s projects were Bridges to Prosperity – which saw us connect 7,000 people with a bridge across the River Cyacika in Gasiza, Rwanda, and The GREEN Program – which focused on evaluating the energy sector in Iceland and its potential application in the UK.